After several years of my back hurting, not able to maintain good balance just standing, walking with a limp from hip pain, headaches, muscle cramps, and many more problems that come and go until I gave in and look for a Chiropractor. Now 4 months into recovery I am beginning to feel my old self again. I walk better, keep my balance, no more headaches and I even smile more again. Thanks to Dr. Artho, I am beginning to live life again. I give thanks to the Lord every day for his great healing power for “By his stripes I am healed.” The Lord uses different ways to heal. I am so thankful for Dr. Artho and his expertise in finding a path way of healing for me. Several weeks ago I was having so much pain in my lower back that I could hardly walk. The only way I could move about at all was with a walker, and still it was very painful to walk or move. I went to see Dr. Artho on a walker. He was very thorough in his examination and even the first day he tried to relieve my pain with heat. He scheduled me for 3 treatments a week. After several treatments I started using a cane instead of a walker. After each treatment I got better and better and the pain less and less. Today I do not even use a cane and have no pain in my back. I even walked a block last Saturday with no pain. Not only has my back improved so have my allergies and heart burn. Dr. Artho has helped me so much. I recommend him to anyone suffering from back pain. He is an excellent doctor. I was getting to a point where my back and neck were interfering with my work and even recreational things I like to do. Since I have started this program I can work longer without hurting. I farm and sometimes don’t know when to quit and go home. I just feel better in general. I even sleep better through the night. Before I would wake up hurting and have to turn a different direction till that would hurt and wake up again. Now I sleep longer and more restful and feel better when I wake up. Before I would wake up feeling worse than when I went to bed. I feel better than I have in years. Actually, my son-in-law told me about your special on the spinal exam. I knew my lower back was needing some help (for years) but just did not realize the difference of the hips. And we don’t see some of the changes in our posture. I want to stay as fit as possible and keep my body in alignment. I still have to watch the way I do my yard work, but I love it and hope to keep on doing it. I would encourage anyone to have chiropractic care. I came to see a Chiropractic, because I was having trouble sleeping at night. My neck, shoulder, and lower back would hurt every night. I’ve been seeing a Chiropractic for a few months now, and I can honestly say that it has help me a lot. I can now sleep better at nights. I’m more active then ever before. I now thank God for (Chiropractics) and for the Artho family too. The reason I came to the chiropractic office was because of lower back pain and neck and in these 3 months of treatment the truth is that I have felt a lot better. The pain in my lower back and neck have diminished substantially and I recommend it to people who, like me, work standing up the majority of the time during the day. I am very happy with the results that we have obtained to this date. Thank you for everything. May God Bless you all. I used to be skeptical of chiro kind of treatment, but ever since an auto accident I hurt my back pretty bad. I had to seek therapy help, but after a year or so it didn’t help much so thank God the Chiropractioner, I started the treatment with Doctor Artho, and my life and health has change dramatically. I know for a fact that I will not be back to my hundred percent but at least I know I felt better than the first treatment of therapy. I know for a fact that chiro works. When I first came in to the clinic, I was having trouble with my lower back and pelvic area having extreme pain. I was also having a lot of pain in my shoulders and upper back. To compound the issue, I was having seizures from MS. Now I have no pain in my lower back, less pain in my shoulders and very few seizures. I think my health would be much worse if not for Dr. Artho. 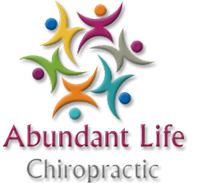 When I got there with Doctor Artho office I thought it was going to be the same as other chiropractic I have gone, but it was real different because when I started I started to learn the reason why my back was mess up. He taught us how to be positive, spiritual, physical. I have felt real good with the treatment I have received. It been six month I have been coming and with God help I have felt a lot better. Thank to God. When I started going to the Artho clinic, I had really high stress, back and shoulder pain and frequent headaches. Today I’ve learned to not let so much bother me and coming to treatments at the clinic and the positive atmosphere, I’m much better physically and emotionally. I can say that taking care of yourself by getting chiropractic treatment and other things as eating right, resting etc. that the Artho’s promote is the key to feeling and thinking better. I recommend it, Thanks. I am a believer in Chiropractic. I have been using them for years. I am so pleased of how I feel today. I think Dr. Damian does a great job of helping me feel better. My back does not hurt anymore. I was getting up every morning with my back hurting. Not any more. With the chiropractic care I been getting has helped me a lot, I was living with a pain in my right side and it used to run to my back and also my stomach, and now with this care the pain is no longer there. I was sent here by my daughter-in-law because she saw how much pain I was in. I was in so much pain I even needed help getting on and off my vehicle. But through therapy I am able to function so much better. I am able to sleep, have more energy and a better quality of life that I didn’t even know existed. The pain I came in here for has disappeared and all the other pain that I had learned to live with have also disappeared. I am so grateful to the doctor for his wonderful therapy that has healed my body with NO pills and medicine. And I also extent the all around service that in his healing I well be forever grateful.